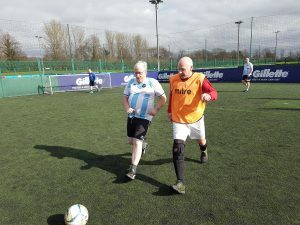 Walking football is a football session for those aged 50 where footballers walk instead of run so they can still enjoy the beautiful game and participate in competitive football but at a slower pace. 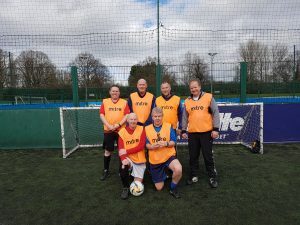 Walking football offers a range of health benefits, from being actively involved in a sport providing exercise and increased fitness, to offering social opportunities as players become part of a team. As well as our training sessions, we regularly arrange mini tournaments and matches between our teams, and further afield with fixtures previously having been played against teams from Wolverhampton Wanderers, Birmingham and more.